The Eurovision Gala of the Spanish Operacion Triunfo (Star Academy) is taking place tonight. 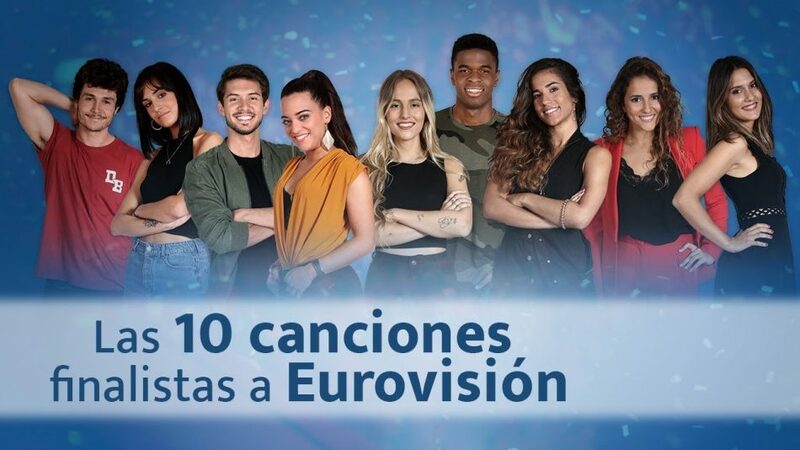 Nine singers and 10 songs are going to compete to represent Spain in the 2019 Eurovision Song Contest in Tel Aviv, and the winner will be chosen by televoting only. María is the clear winner of our poll with over one third of the received votes going for her, and her song “Muérdeme”. She is followed by the only duet in the competition – Miki and Natalia in second, and the actual winner of Operacion Triunfo – Famous, in third place. On the bottom of our poll results we find Julia and Marilia. So our editors agree with our readers having María as their favourite. Will the televoting public agree? We’ll find out this evening. The show begins at 2205 CET and will be streamed live on TVE’s website. We’ll also be live blogging it so make sure you follow that with us! In the meantime, you can listen to all 10 competing songs on the official site right HERE. These are YOUR favorites ahead of the Semi Final of X Factor Malta!